The A.J. 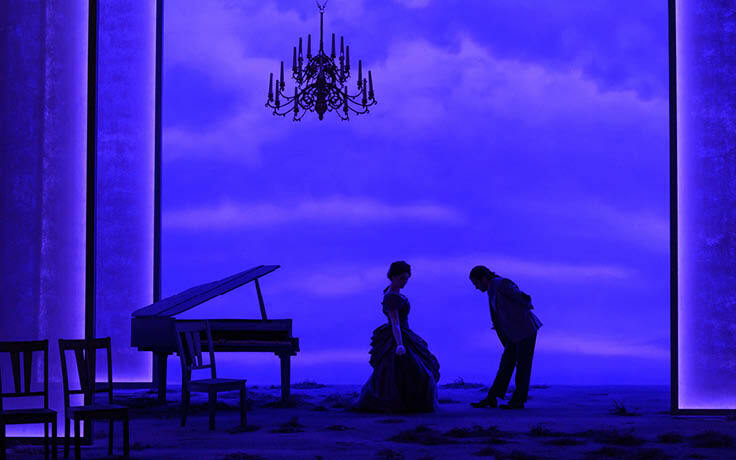 Fletcher Opera Institute at the University of North Carolina School of the Arts will present Jules Massenet’s opera “Werther,” conducted by Antony Walker, music director of Pittsburgh Opera, beginning Friday, Feb. 1 in the Stevens Center, 405 W. Fourth St. There will be three performances: at 7:30 p.m. on Feb. 1 and Tuesday, Feb. 5 and at 2 p.m. Sunday, Feb. 3. Tickets are $25, $20 for students with a valid ID; order tickets online or call the box office at 336-721-1945. Steven LaCosse, Fletcher’s managing director, is staging the production, which will be sung in French with English supertitles. Conductor Antony Walker has worked as a guest artist for Fletcher once before, having led a performance of Rossini’s comic opera “La Cenerentola” in winter 2018. Mezzo-soprano Kathleen Felty is one of two Fletcher fellows playing Charlotte in “Werther” along with Brennan Martinez. The other Fletcher fellows appearing in “Werther” include James Smidt and Wagner Pástor as Werther; Eliza Mandzik and Claire Pegram as Sophie; Taylor Boone as Schmidt; and Andrew René as Le Bailli and Albert. Felty called the work “a masterpiece of late 19th-century French opera” with “soaring, passionate vocal melodies and lush orchestration.” She said its “acute attention to the psychological journeys of the main characters” sets it apart. 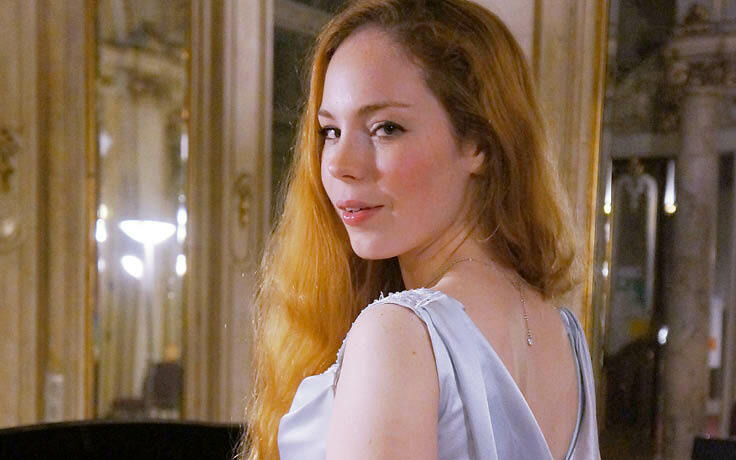 After receiving her Master of Music this year, Felty will join The Patrick G. and Shirley W. Ryan Opera Center, the prestigious professional artist development program at Lyric Opera of Chicago. She’s one of four Fletcher Institute singers who’ve achieve this honor. The others are René Barbera, Jonathan Johnson and Richard Ollarsaba. “Werther,” with a libretto by Édouard Blau and Paul Milliet, was first performed in Vienna in 1892. It is based loosely on “The Sorrows of Young Werther,” a famed novel by German literary giant Johann Wolfgang von Goethe. The opera “Werther,” whose music LaCosse described as “very Puccini-like,” revolves around Werther, an iconoclastic, romantic poet who falls obsessively in love with Charlotte. However, Charlotte has promised her mother she would marry Albert, a respected member of the bourgeois class. Unable to free themselves of an impossible love, Werther and Charlotte spiral slowly downward toward their destruction. We haven’t done a late 19th-century Romantic opera for a long time. It was time to bring this repertoire back, not only to the Fletcher program but also to the School of Music, so that its orchestral players could experience it as well. LaCosse said Walker’s expertise will greatly enhance the educational experience for Fletcher fellows. “There are certain things a conductor can teach, and Antony is very good at that,” LaCosse said. For singers, these include the finer points of phrasing, how to better follow a conductor and communicate your needs in terms of tempo. Walker will also teach the orchestra how to be more flexible and to make music in ways that contribute to the drama happening on stage. The “Werther” production designers from the UNCSA School of Design & Production include Rachel Miller, scenic design; Ethan Saiewitz, lighting; Kristen Mendez, costumes; and Nick Lynch Voris, wigs and makeup. Nina Walker is the production’s stage manager. Walker also recently debuted at English National Opera in “Lucia di Lammermoor,” at Canadian Opera Company in “Maria Stuarda,” and at Santa Fe Opera in “Madama Butterfly.” Walker currently serves as artistic director of Washington Concert Opera in Washington D.C., co-artistic director of Pinchgut Opera in Australia and music director of Cantillation and the Orchestra of the Antipodes. He was chorus master and staff conductor for Welsh National Opera from 1998-2002 and musical director of Sydney Philharmonia Choirs from 1992-1997. Since his conducting debut in 1991, Walker has led nearly 200 operas, large-scale choral and orchestral works and numerous symphonic and chamber works with companies in Europe, North America, and Australia. His extraordinary career includes engagements with Opera Australia, Welsh National Opera, New York City Opera, Teatro Comunale Bologna, Orchestre Colonne (Paris), Cincinnati Opera, Glimmerglass Festival, Opera Theatre of Saint Louis, Vancouver Opera, Sydney Symphony Orchestra, Melbourne Symphony Orchestra and Sydney Opera House Orchestra. 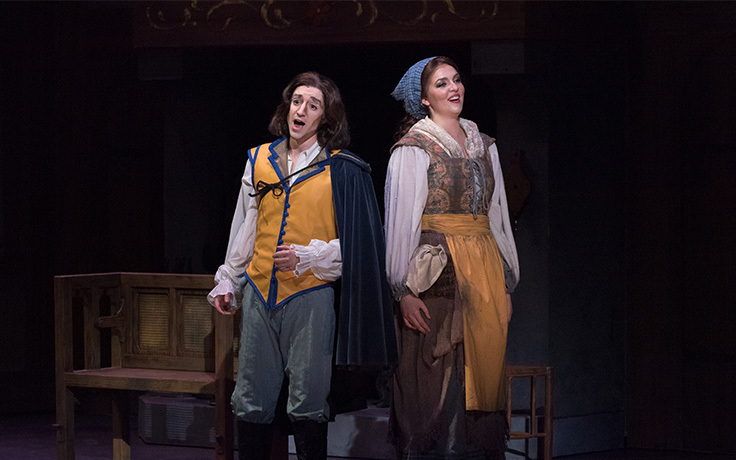 UNCSA's Fletcher Opera Institute presents Claude Debussy's intricate opera "Impressions de Pelleas"